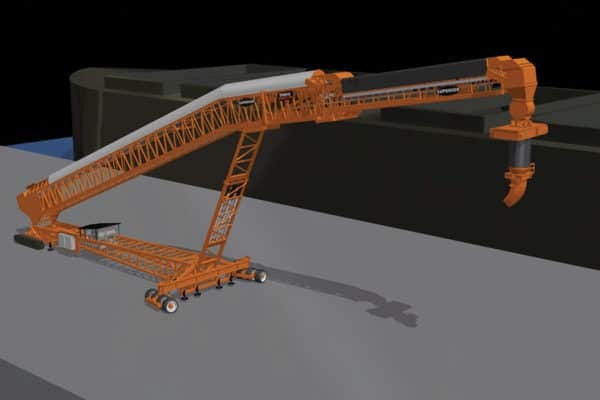 Reduced drop height maintains tight clearance between conveyor and vessel. 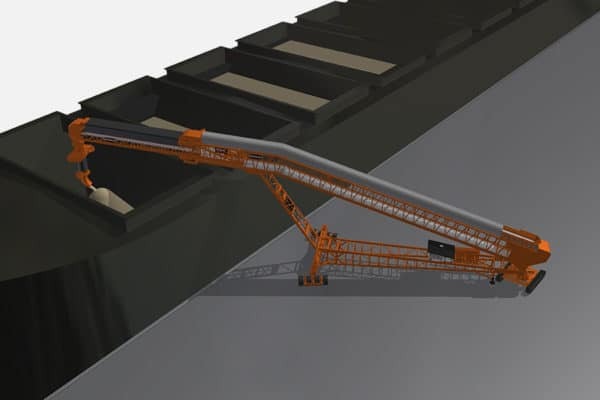 Mobility combined with telescopic technology allows users to fill multiple hatches from one feed point. 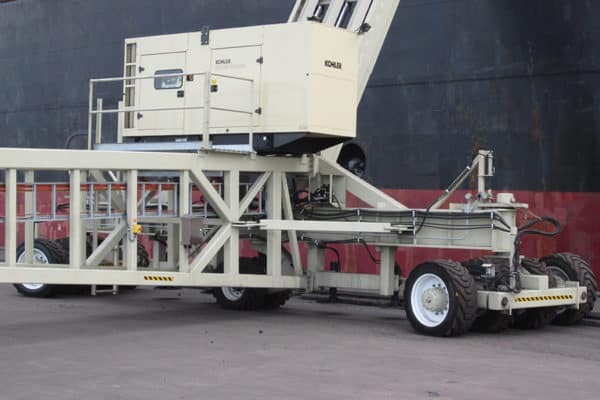 Maintaining a single feed point reduces constant relocation, speeding the loading process. 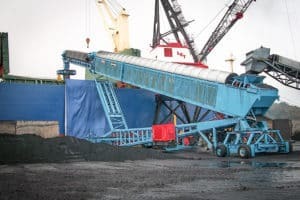 In addition, the conveyor's luffing action allows it to adjust to tides and diverse ship sizes. 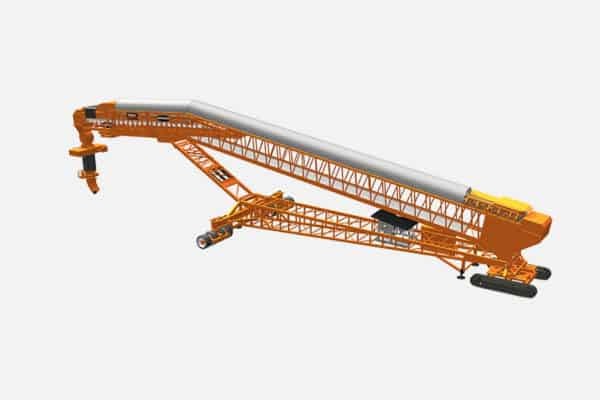 At rates up to 5,000 tons per hour, we manufacture the highest capacity radial telescopic conveyor. 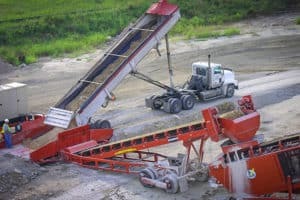 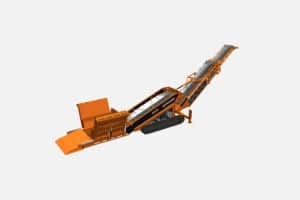 This versatile machine performs numerous functions including loading, unloading and stockpiling.